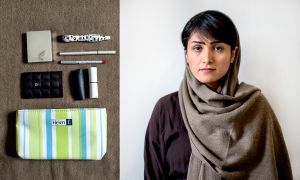 Wearing a hijab became compulsory in Iran during the first few months after the Islamic Revolution in 1979. Since then, women and especially girls gradually start to care about their appearance more considering their new look. 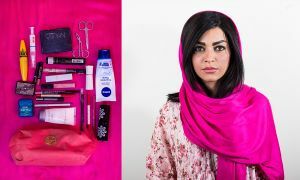 This became more popular among women after some time and famous makeup brands entered the market and Iranian girls became more willing to do so. These girls sometimes spend hours in front of the mirror to do their makeup and often spend a lot of time and money on this. 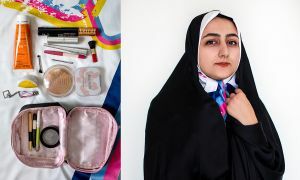 However, the situation was quite different a few decades before when unmarried girls were not allowed to wear makeup; yet, it has become a routine for all walks of life in Iran. 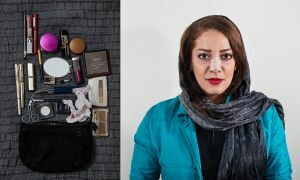 Makeup for Iranian girls and women has different reasons. 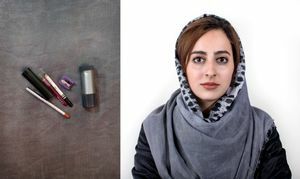 One is that a compulsory hijab diverts and restricts beauty to the face and this gradually became a significant part of Iranian culture. Nevertheless, there are still women and young girls who do not hide behind a mask of heavy makeup. 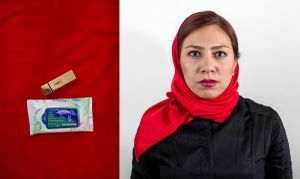 Currently, Iranians are annually spending about $2 million on toiletries and follow Saudi Arabia as the biggest consumer of toiletries in the Middle East. 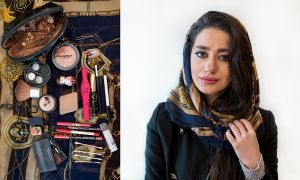 A significant proportion of the toiletries is imported into Iran through illegal ways. 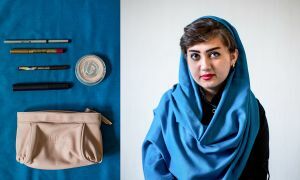 Using toiletries in Iran usually starts at the age of 14. 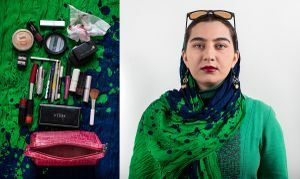 There are approximately 14 million girls and women between 15-45 years residing in big cities of Iran and they spend (at least )an average amount of $7.5 while their average monthly income is $500-$600. 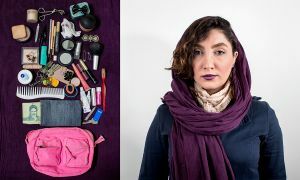 According to TMBA, spending excessive amounts on toiletries in Iran is due to its large population of youth and urban-dwellers. Half of the Iranian population is below 30 and 65% of the total population resides in cities. 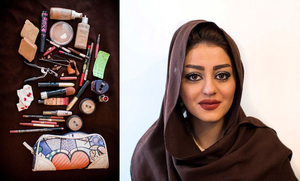 This report has covered the makeup phenomena among girls and women in Iran. 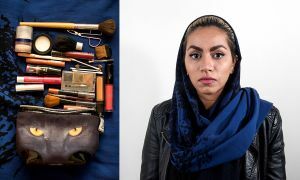 Subjects of this report are females of 14-38 years selected from different socioeconomic levels and their photos were taken in similar conditions wearing their daily makeup. A toiletries bag is one of the most personal belongings of women —and the items within it can often provide clues about their character, position, and age. 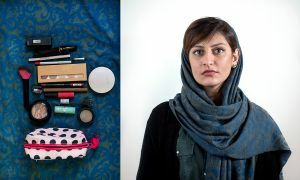 Most women who participated in this project believe that the hijab is the main reason behind wearing heavy makeup. 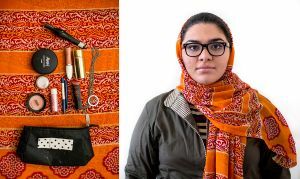 This series displays a typography of young Iranian women in 2015.